A large body of evidence indicates that the risk for developing chronic diabetic complications is under the control of genetic factors. Previous studies using a candidate gene approach have uncovered a number of genetic loci that may shape this risk, such as the VEGF gene for retinopathy, the ELMO1 gene for nephropathy, and the ADIPOQ gene for coronary artery disease. Recently, a new window has opened on identifying these genes through genome-wide association studies. Such systematic approach has already led to the identification of a major locus for coronary artery disease on 9p21 as well three potential genes for nephropathy on 7p, 11p, and 13q. Further insights are expected from a broader application of this strategy. 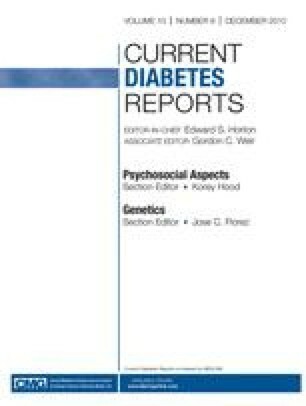 It is anticipated that the identification of these genes will provide novel insights on the etiology of diabetic complications, with crucial implications for the development of new drugs to prevent the adverse effects of diabetes. Results of the author’s work described in this article were supported by National Institutes of Health grants HL73168, HL71981, and DK36836.